This is a subspecies (Subspecies: Entomologists sometimes further divide a species into distinct groups called subspecies, which have two lower-case words on the end of their scientific name instead of one. The latter is the sub-species name. For example, Maccaffertium mexicanum mexicanum and Maccaffertium mexicanum integrum are two different subspecies of Maccaffertium mexicanum.) M. terminatum terminatum, formerly called Stenonema. Found mostly in larger rivers in western Montana. This is an immature nymph. 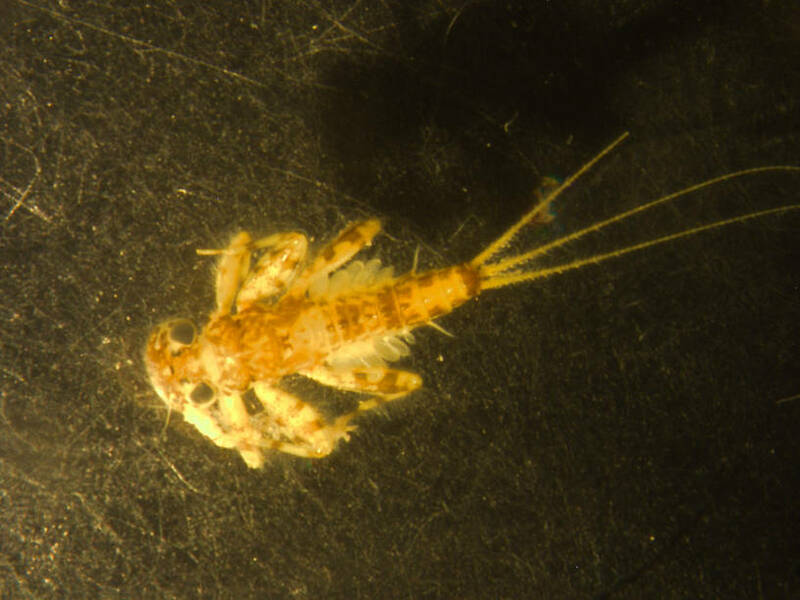 This mayfly was collected from the Flathead River-lower on November 23rd, 2005 and added to Troutnut.com on June 26th, 2011.